Williams DR to Wildwood Dr. Left on Wildwood DR. Right on Cliffwood DR. House will be on right. 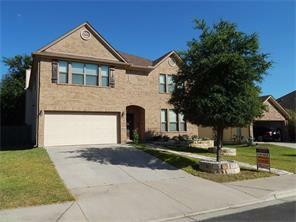 Gorgeous 2 story home located in the highly desirable Woodlake subdivision. Spacious Kitchen has stainless steel appliances, glass tile backsplash, breakfast area and plenty of counter and storage space. Great for entertaining! Master bedroom suite has a sitting area, Master bathroom with separate His/Hers vanities, garden tub, separate shower and HUGE walk-in closet. Shady Backyard is completely fenced in. Wonderful neighborhood and schools. Welcome home!